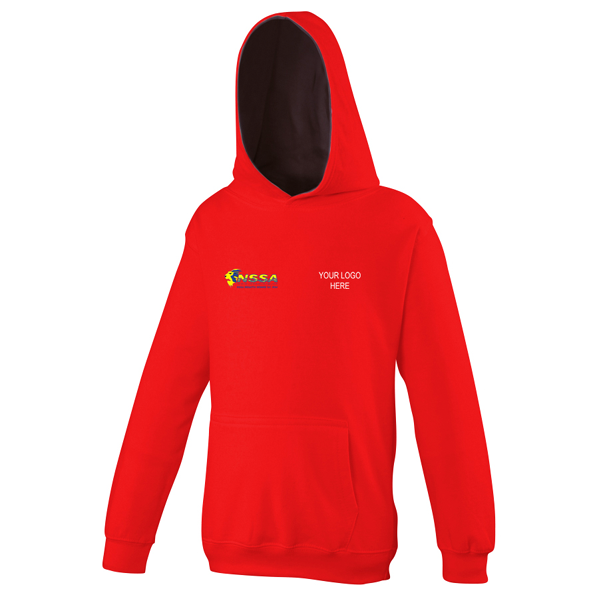 This hoodie features a double fabric hood with contrasting coloured hood lining, a kangaroo pouch pocket, ribbed cuffs and hem. No drawcords to comply with EU regulations. Ideal for embroidery and printing.